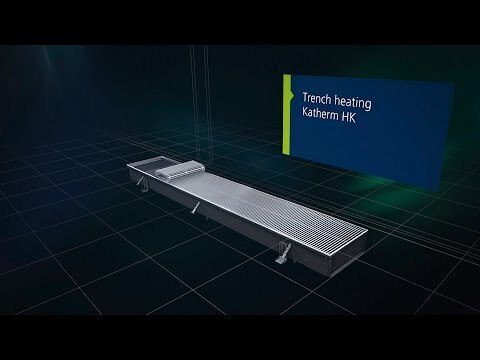 Katherm HK : Trench heating and cooling. 1. Where are Katherm HK units typically used? Katherm HK for heating and cooling are ideal for all areas of buildings that need to be heated in winter and cooled in summer due to the high incidence of sunlight through the glass façades. Many years of experience have show that Katherm HK can be used to provide cost-effective and efficient cooling in these areas. 2. 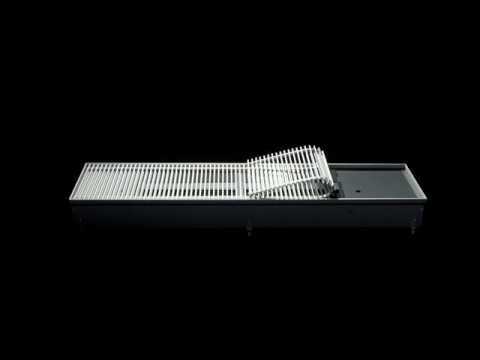 What systems are possible with Katherm HK? 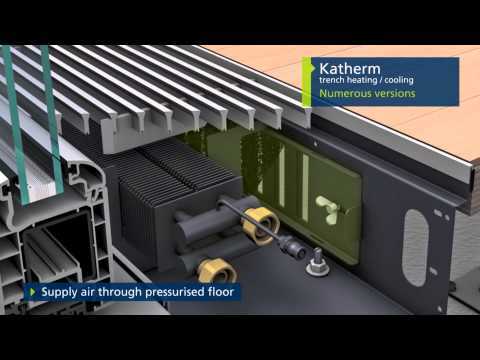 Katherm is available as a 2-pipe system and also as a 4-pipe system when heating with LPHW and chilled water (CHW). 3. Which fans are used in the Katherm HK? Extremely energy-efficient EC tangential fans are used, which maximise use of the energy consumed. They are far superior to conventional shaded-pole motors particularly at low fan speeds. Operating the units at very low fan speeds equates to very low noise levels.